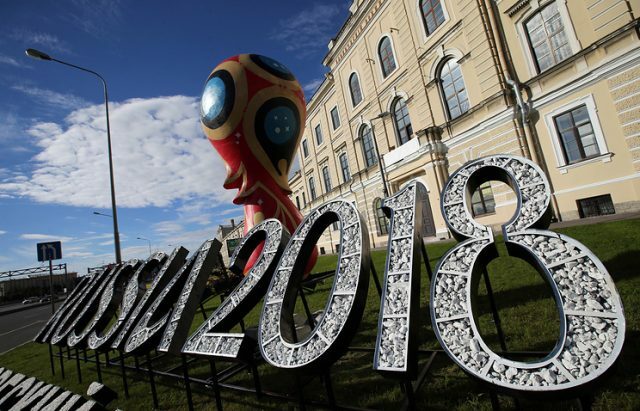 Russian billionaire Ziyavudin Magomedov, co-owner of an investment company involved with building one of the FIFA 2018 World Cup stadiums, has been arrested on embezzlement charges. Magomedov, co-owner of the investment group Summa, has been arrested alongside his brother Magomed Magomedov and Artur Maksidov after a judge in Moscow’s Tverskoy District issued a warrant following accusations that the three men embezzled billions of rubles in state funds. Maksidov is the head of a company in the Summa group that was involved in the construction of the World Cup stadium in Kaliningrad, which is still yet to be fully completed despite the tournament being just weeks away. Forbes magazine recently estimated that Ziyavudin Magomedov was worth $1.25 billion whilst the United States Treasury Department listed him in January as one of 96 oligarchs close to Russian President Vladimir Putin. This is not the first time that an individual associated with a World Cup stadium has been arrested after Marat Oganesyan, who was involved in the construction of the Krestovsky Stadium in Saint Petersburg, was arrested on similar charges in November 2016. One year later, Oganesyan admitted to being involved in an embezzlement scheme around the construction of the stadium, which will host one of the tournament’s semi-finals as well as the third-place playoff.